Infographic Archives | Page 3 of 3 | Morai Logistics Inc. This week we’re continuing our infographic series on The Benefits of Nearshoring. We’re focusing more on Mexico and how efforts in both infrastructure have affected how it has developed in recent times. We’ve also taken a look at how the auto industry is ripe for a nearshoring move for American companies. Mexico has set itself up to being in a good position for the main nearshoring or reshoring target for companies in North and South America, but especially the United States. Companies in the US are in a perfect position, depending on the industry and logistics needs, as Mexico offers an attractive location and cost (due to China’s rising wages) but also more control over manufacturing & delivery schedules when compared to supply chain and logistics operations overseas. Major automotive manufacturers, such as Ford, Chrysler, and General Motors (GM) have already been operating in Mexico since the 1930s. These companies have spearheaded the nearshoring move in the auto industry and other companies like Toyota, Nissan, Honda, BMW, Volkswagen, and Mercedes Benz have followed suit. Check out our infographic below to see how Mexico is continuing its trend towards being a very real consideration for American manufacturers looking to optimize their supply chain while cutting costs. It is no surprise that many people in the logistics industry have labeled it a “Gentleman’s Club.” As outlined in the Morai Logistics Infographic focusing on women in the logistics industry, compared to other industries women still have some room to catch up at all levels in the logistics and supply chain industry. For example, 35% of logistics graduates are women. Compared to other business graduates in general (of which there are about 45% female graduates), the logistics industry has the highest percentage of male graduates in the industry. Within the professional sphere, women take up less than 20% of company management position despite two-thirds of professionals believing that women offer a different style of management that is viewed as an advantage for companies. Eye for Transport, or EFT, is a business intelligence and C-level networking initiative for the transport, logistics and supply chain industry. It is an organization that specializes in connecting senior industry executives with their industry peers, and with the crucial information they need to excel in their work. They have an annual Third-Party Logistics (3PL) Summit that the President of Morai Logistics was invited to. 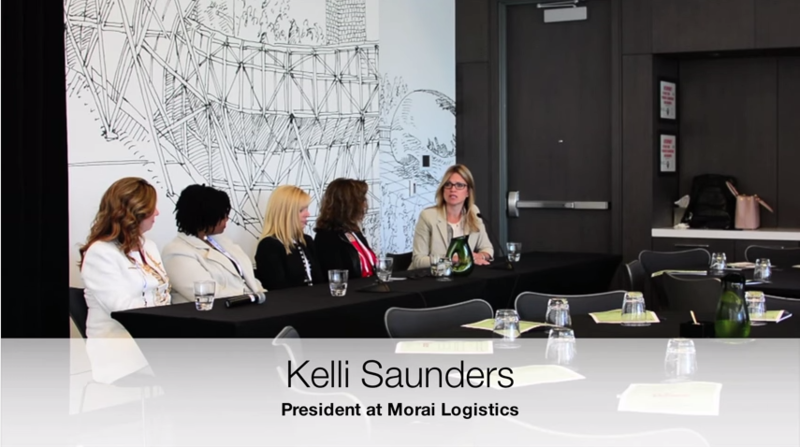 Kelli Saunders sat on a panel along with 5 other C-level women in the logistics and supply chain industry to discuss their path that got them to where they are today. To see Eye for Transport’s full breakdown of the Lean In Moment on women in logistics, click here: Part 1, Part 2. A couple of weeks ago we wrote about statistics that we’ve found that suggest that Mexico is a prime nearshoring choice for North America. We found this to be really interesting and decided to flesh it out further so we’ve decided to make this our feature inforgaphic for this month! As you may know, China and Mexico have been battling to be the prime hub spot for logistics operations in North America for the last couple of years. China has their already established work force and prime manufacturing facilities. Mexico on the other hand is starting to develop their own logistics hub in the Golden Triangle and is starting to become an attractive, and very real, consideration due to cost and time savings. Today we have created an infographic to shed light into what supplier diversity is and to highlight some quick facts about how the women-owned and other minority-owned businesses have been progressing in the recent years. We also cover the spending trends with regards to the investment of companies into supplier diversity programs. The benefits of supplier diversity go beyond the “social good.” We are now at an age where companies are starting to find that supplier diversity programs can be fiscally beneficial. A study from the Hackett Group showed that companies that “focus heavily on supplier diversity” generated a 133% greater ROI when it comes to procurement than the typical business. 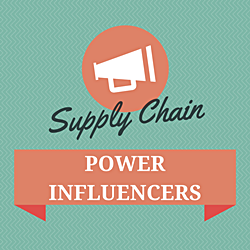 And this is just the beginning, scroll down to see more facts about supplier diversity. Have you ever wondered how flowers arrive at your doorstep? Flowers are an iconic symbol and even something as simple as a rose can have several different meanings behind the gesture of giving someone on. For example, whether or not you give one or a bouquet, and even the colour(s) you pick matters. 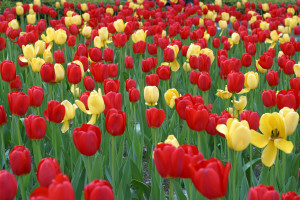 Flowers can even be part of a grand gesture, like the Canadian Tulip Festival where the Dutch government sends 20,000 tulips to Canada every year (10,000 from the Royal Family and 10,000 from the Dutch Bulb Growers Association) due to Canada-Netherlands relations in WWII. Since Mother’s Day is this weekend (at least for Canada and the United States) we thought we would focus on the logistics of flowers, both in how flowers arrive to the flower shops these days as well as how flowers arrive at your doorstep. Have you ever wondered where these florists get their flowers? Well, they’re not just grown in the back! In fact, even though traditionally flowers have come from local sources within the community (i.e. nearby flower farms), these days they can come from anywhere. In an interview with Jim McCann – the owner of 1-800-flowers.com – on Bloomberg, he mentions that 80% of the flowers in the West come from Colombia now because of a free-trade agreement that allowed thousands of different Columbian products, flowers included, tariff-free entry into the American market. This in contrast to a couple of years ago when 75% of flowers were supplied locally/domestically. The difficulty in flower logistics is that, while they are a beautiful gift, they are expensive and dead in a day. In fact, flower production in the US is going up because of rising freight costs. Many small businesses in general are affected. In Canada, for example, the cost of ground transportation has risen ~9.5% since February 2011. The preservation of flowers is actually much better these days due to improvements in the cold supply chain, with flower preservation doubling in just the past 5 years. since the delivery conveniences of companies like Amazon, and the conceptualization and development of same-day delivery, consumers are all about the now. They want their products, and they want it ASAP (and it has to be cheap!). 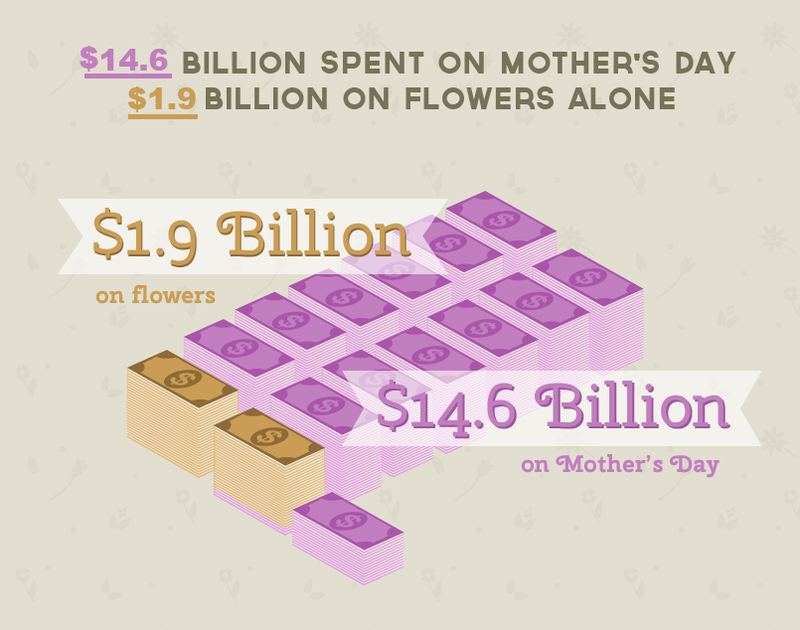 Flowers are no different, the biggest strategy that florists have when it comes to high-demand periods like Valentine’s Day and Mother’s Day is partnering with local florists to handle product orders. International Women’s Day happened on the 8th of this month and we thought we would contribute a belated infographic for this week’s blog post. The logistics industry is notoriously known for being a Gentleman’s Club consisting of a primarily male workforce. Though that still exists today, companies have taken steps to balance the gender discrepancy in the workforce and women are slowly starting join logistics and supply chain companies at all levels. We hope that everyone has had a great start to the year so far! 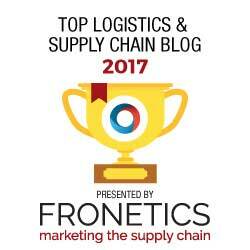 Now that we’re getting close to halfway through our first month, we thought we would feature some great infographics that we thought would motivate you for a great start to your year in the logistics and supply chain industry. 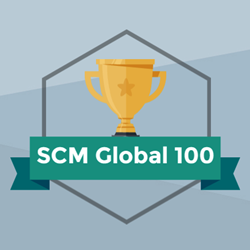 If you or anyone you know is looking to get into the logistics and supply chain industry. Here’s a great infographic that gives you the breakdown from how people in the industry maintained their position and what they thought about the current job market. Not surprisingly, in-person networking and word of mouth were the most common ways to land a position, but thankfully online job sites and postings from the employer’s sites show great outcomes as well. This is a great sign as it shows that our industry is adapting to today’s trends in recruitment strategies. 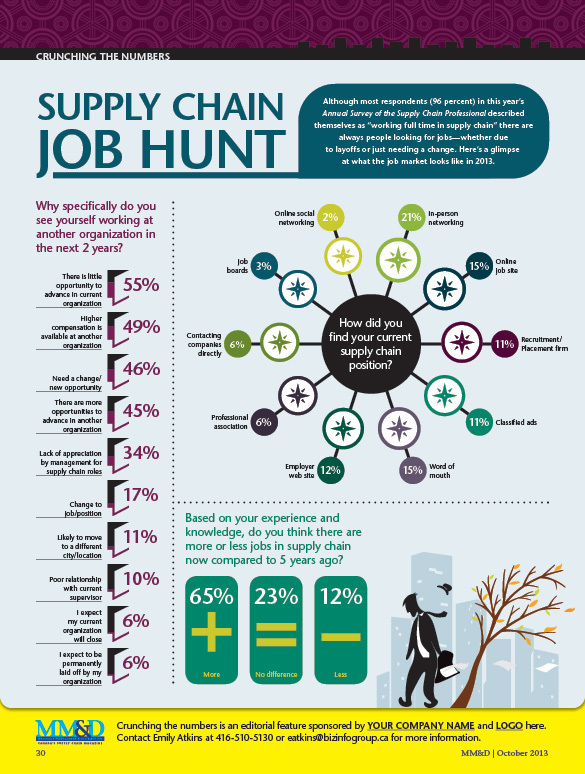 Capgemini released an infographic on the struggles along the supply chain processes in preparation for the holiday season. It’s no surprise that the same challenges carry over for this year: a lack of talent and processes among key challenges. A great way to move forward is to look back and see what’s been happening, and our last Industry Focus Week post on Hardware Technology showed that this coming year gadgets are the thing to look out for. We’re personally keeping an eye out for both wearable technology and miscellaneous gadgets! What are you looking forward to seeing developed?